Circle has now raised a total of $26M from an impressive group of investors. They are Boston based and are focused on making online tools to allow consumers to transact easily and safely using bitcoin. Lets see how they get on.. 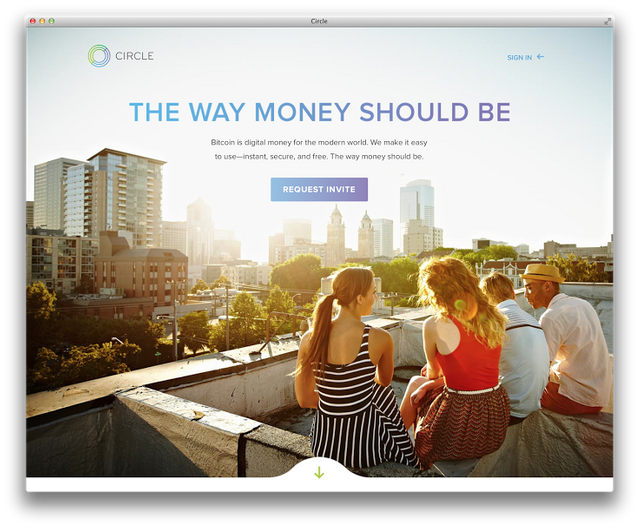 Unlike other sites that promote buying and selling bitcoin, Circle is designed to have customers create accounts, send and receive money and make deposits and withdrawals. Instead of forcing customers to learn what amounts to a new language to use bitcoin, Circle tries to make the experience as similar to retail banking accounts as possible. Circle immediately converts fiat currencies into bitcoin and stores it, and then when a customer withdraws bitcoin from a Circle account, it automatically converted back into a local currency to be transferred into an existing bank account. And… the service is entirely free to consumers. “We don’t think consumers should be charged for using their own money,” Allaire writes on the Circle blog. Furthermore, the process is nearly instantaneous. Users can open a Circle account and see bitcoin in it within minutes, rather than the days that some sites take to confirm a bitcoin transaction. The company also offers customer support including telephone support as of today.